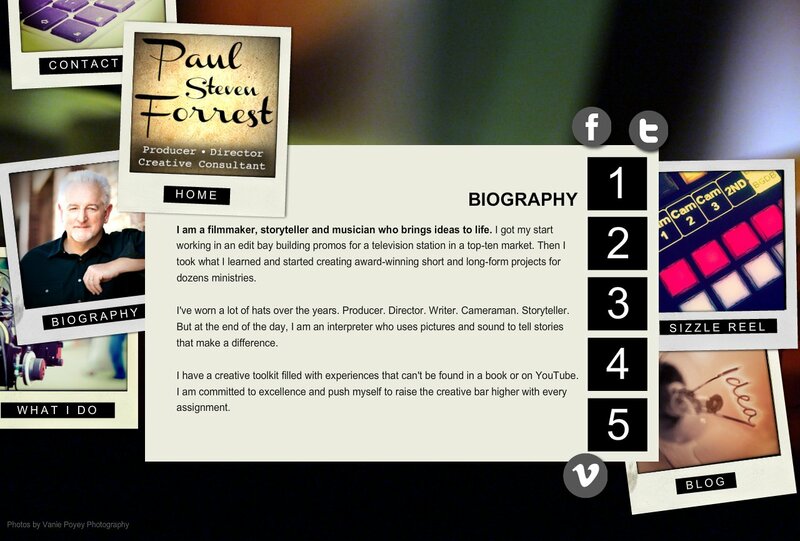 I am a filmmaker, storyteller and musician who brings ideas to life. I got my start working in an edit bay building promos for a television station in a top-ten market. Then I took what I learned and started creating award-winning short and long-form projects for dozens ministries. I've worn a lot of hats over the years. Producer. Director. Writer. Cameraman. Storyteller. But at the end of the day, I am an interpreter who uses pictures and sound to tell stories that make a difference. I have a creative toolkit filled with experiences that can't be found in a book or on YouTube. I am committed to excellence and push myself to raise the creative bar higher with every assignment.